Available September 12. Rated PG. Two imaginative fourth grade boys turn their mean teacher into an underwear clad superhero with no powers. 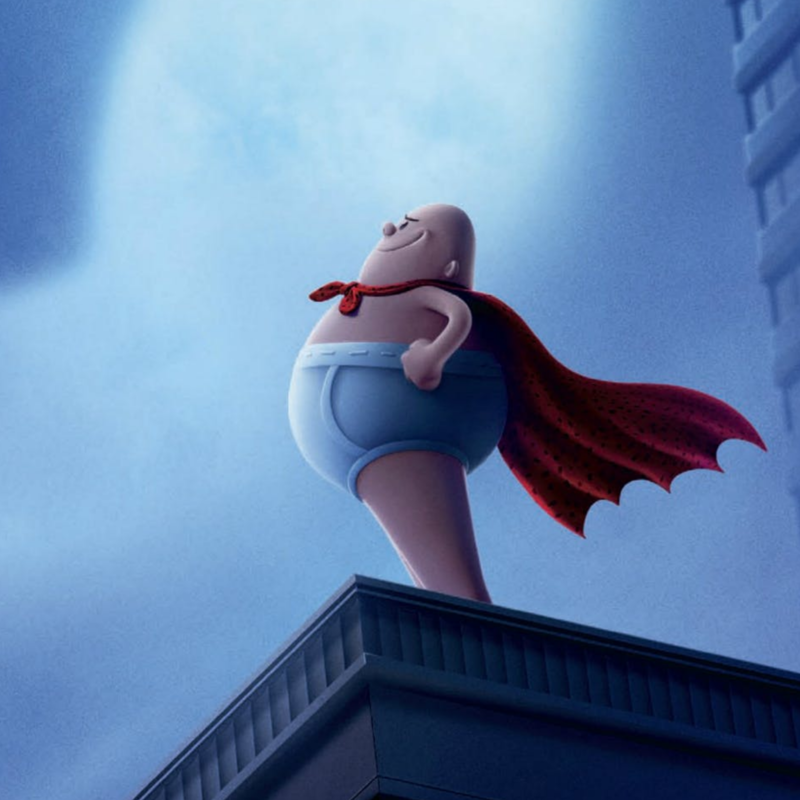 Based on the wildly successful kids’ books by Dav Pilkey, “Captain Underpants” is a goofy and lighthearted animated flick that revels in its naughtiness. It’s all good fun—for kids and adults. The fine voice cast is headlined by Kevin Hart, Thomas Middleditch and Ed Helms. Available September 5. Rated PG-13. The true life story of a young Marine who discovers a special bond with the dog that saves her life. “Megan Leavey” is part war film—chronicling the life of the marine (well-played by Kate Mara)—and then a second, more emotional part that demonstrates the importance animals have in our lives. It’s an effective and moving film that wears its heart on its sleeve. Available September 5. Rated R.
Five college friends get together in Miami to celebrate one of their upcoming nuptials – and they prove they can be as wild and raunchy as the boys. Unfortunately, the death of a stripper sends their weekend into a tailspin. “Rough Night” is sort of “The Hangover” meets “Weekend at Bernie’s” – only with a much more engaging cast (Scarlett Johansson, Jillian Bell, Zoe Kravitz, Ilana Glazer and Kate McKinnon). Available September 12. Rated PG-13. Universal Studios decided to kick off their ‘Dark Universe’ cinematic world with a remake of “The Mummy,” backed by the star power of Tom Cruise. The result is kind of an enjoyable mess. The film relies too much on action and special effects, but there’s a lot of fun here, including Sofia Boutella as the film’s title character (we only wish there was more of her). Our recommendation: don’t try and compare this to the past “Mummy” films—just watch it with a clean slate. Available September 12. Rated R.
“Beatriz at Dinner” is about a masseuse (Selma Hayek) who gets invited to a dinner party at the home of a wealthy California family. The result is a clash of cultures that is at times squirm-worthy, cruel and bitterly funny. Hayek shines as the feisty working class woman who butts heads with a blowhard businessman, well-played by John Lithgow.